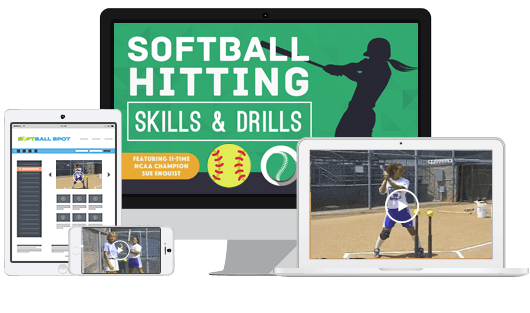 Order Softball Hitting Skills and Drills online video clinic today and you'll see EXACTLY how to perform all 28 drills included in the ebook... plus dozens of wickedly effective coaching pointers, troubleshooting tips, and practice routines you can take right to the field! Module 1 - Hitting Mechanics covers Coach Enquist's 10 step checklist for developing a picture perfect swing. You'll discover how to diagnose and correct some of the most common hitting mistakes... simple tweaks for creating more power... and simple drills to drive home key concepts. Module 2 - Practice Program covers all the practice drills you 'll need to transform your team into a hitting powerhouse. Every drill is explained with simple step by step directions, detailed demonstrations and coaching tips to help you shorten the learning curve. In all, you're getting more than 88 minutes of hard-core video content from one of most successful softball coaches in history. In fact, this package has sold on other websites for as much as $80.00. That's a savings of 79%!